If you're planning on having quite a low key marquee wedding reception you might be interested to know that there is a much cheaper (little known) option out there. Marquees can be hugely expensive, even when you strip back the chandeliers, the drapes and the wooden floor. 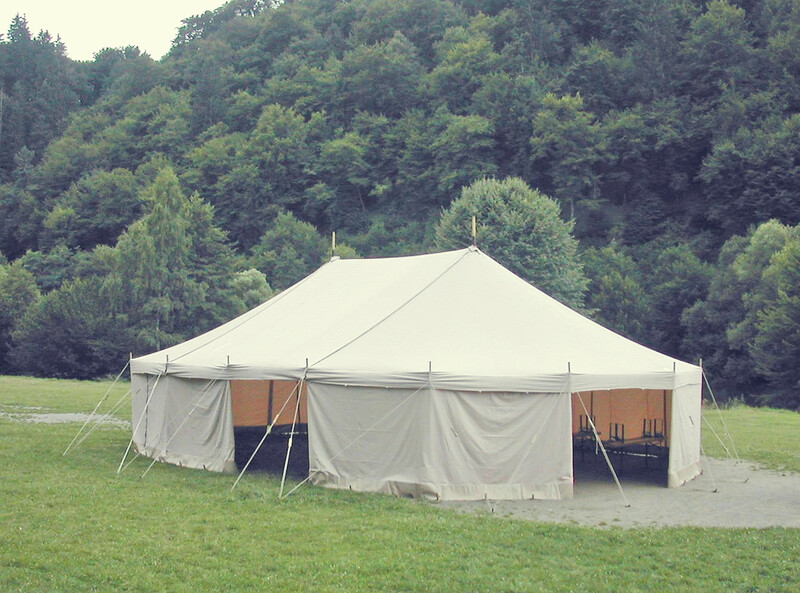 A traditional pole tent marquee, laid bare, can be a lovely looking thing but can still cost around £1000 for your average sized wedding (90-120 people). Most people don't know that Scout Troops (yes, Scout Troops) often have marquees for their camps and events and many of them rent them out privately to help fund their activities. I'm talking savings of hundreds and hundreds of pounds here. Some Scout Troops hire out their marquees for as little as £200 so it's well worth some serious Googling and a ring around your local groups. Quite often they will have a team of volunteers who are able to come along and set it up before hand. If you're planning on decorating your marquee I'd get it put up a couple of days before if possible as it takes a LOT longer than you think! Keep an eye out for some gorgeous Tutorials on how to create some lovely DIY decorations, perfect for a marquee wedding, over the next few weeks.